State schools in New Zealand have a board of trustees (BOT). The BOT is the Crown entity responsible for governance and control of the management of the school, and are accountable for the school’s performance. The BOT is responsible for determining the strategic direction in which the school is heading (in consultation with parents, staff and students). The board must also ensure that its school provides a safe environment and quality education for all its students. Boards are also responsible for overseeing the management of personnel, curriculum, property, finance and administration. The Principal is the board’s chief executive in relation to the school’s control and management. The Principal is required to comply with the board’s general policy directions; but has complete discretion to manage the school on a day to day basis. Who is on the BOT? Trustees are elected by the parent community and staff members. Elections for parent and staff trustees are held every three years (next elections in 2016). A by-election can occur at any stage in the 3 year election cycle if an elected trustee resigns from the board and thereby creates a casual vacancy. Every Board must prepare and maintain a School Charter. The purpose of a School Charter is to establish the mission, aims, objectives, directions, and targets of the Board in relation to the Government’s national education guidelines (NEGs), national administration guidelines (NAGs) and the Board’s local priorities. The school board has the overall responsibility for the school, including meeting certain legal obligations, responsibility for property, personnel, financial management, reporting to the Ministry and school community, and meeting national requirements set by the Ministry of Education. The BOT makes decisions that the Principal and staff then put in place. It must also monitor and report annually on its progress towards those goals. Boards typically meet once a month between February and December. Meetings are open to the public, however, they are not public meetings where everyone has the right to speak. Speaking rights can be granted in advance by the Board Chair. Sometimes parts of Board meetings are closed to the public when the board is discussing confidential matters. BOT members are also involved in Board sub-committees which meet as required to discuss issues. Recommendations from these meetings are presented to the full board for approval. Standing for the BOT is a great way to get involved in your child’s education. Training and support are available to make carrying out this responsibility easier. If you are interested in standing for election, a good idea is to talk to a current BOT member. You may also like attend a couple of BOT meetings to get a better idea of what goes on at the meetings and about the responsibility involved. My name is Fiona Bailey. I have been on the board for the past three years in the role of Treasurer and took up the role of Chairperson at the beginning of this year. My husband Ross and I have two children, Daniel aged ten and Matthew aged eight. 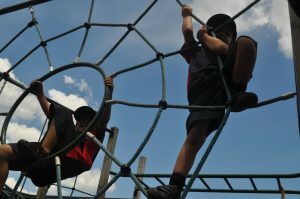 Both boys attend Pakuranga Heights School. I have an educational background as I am a trained primary school teacher with a Diploma of Teaching, Bachelor of Education and Drama Diploma. I taught in schools full time for many years before devoting my time to working for the Howick Children’s and Youth Theatre. I am now the Principal of this organisation, responsible for teaching, administration, financial planning and book keeping and overseeing all aspects of the organisation which has 500 students. I think Pakuranga Heights School is a very positive environment for primary aged children and have enjoyed being involved on a board level for the last three years. Last year and this year in my role as Treasurer, I have applied for grants and have secured approximately $25,000 per year for various classroom and teaching resources. With my professional skills, a passion to ensure our school provides the best possible learning environment for all of our children, and my previous experience on the board, I believe I have suitable attributes to continue to make a valuable contribution to the Board of Trustees. My name is Sarah Irwin and I am excited to be standing for the Board of Trustees at Pakuranga Heights School. I have a passion for learning and have an honours degree in Geology and post graduate qualifications in Information Management and Asset Management. I am currently working as a Project Manager focussing on environmental projects, and also have an extensive background in property and facility management. I have strong organisational and facilitation skills and believe these are my experience in that can be of use to help steer the school. I believe that education for our children is critical in setting them up to have a fulfilling and successful life, and that Pakuranga Heights School demonstrates a fantastic environment for this to happen. 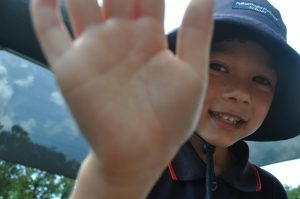 I have two children at Pakuranga Heights School, Kiri in year 3 and Alistair in year 1. I love this school. I have been impressed with the teaching staff, community feel, academic, environmental and cultural and programmes and all the learning opportunities that are on offer to our children. Governing the school is a big responsibility but I am looking forward to being part of the decision making which affects the school direction, with a goal for every child to fulfil their highest educational potential. Outside of work, I enjoy being involved in the children’s sports, using our wonderful beaches and bike trails as well being with family and friends. My name is Rachel Makata. I am a married mother of two children who are both students at Pakuranga Heights School. I have lived in the Pakuranga area for 40 years. I am currently employed as a Police Officer and I have spent my 18 year career in the Counties Manukau District. My policing back ground gives me an extensive knowledge of the local area and its priorities. I was educated locally and grew up playing sport and representing the local area. I love all sports and played netball, touch and rugby competitively. At the pinnacle of my rugby career I was part of the World Champion winning Black Ferns Team in Edmonton Canada. Still with a passion for sports I now support my children at the local sports clubs, I am an age group Manager for the Pakuranga Athletics Club and help out with my children’s rugby teams at the Pakuranga Rugby Club. I come from a family of educators and strongly support quality, free education for our children. Our school is very multi-cultural which is reflective of our growing community. I am married to a Niuean and I am confident that I have a good knowledge of other cultures and beliefs. I believe that I would represent both parents and the community equally and that I would be a good addition to the school’s Board of Trustees. My name is Rikki Solomon. I am the father of two wonderful children, Arwen aged 11 and Odin-Kalel aged six. Arwen is a previous student of Pakuranga Heights and now attends Farm Cove Intermediate. Odin-Kalel is in room five at Pakuranga Heights School. I am a business owner, league enthusiast, jack of all trades and am currently in the processes of completing a master’s degree programme. I have had the privilege of being a member of the current Board of Trustees for the past three years. I believe that education is one of the most essential parts of a child’s life and more importantly, a love of learning develops from their first years in school as well as at home. Planning should be proactive, not reactive with the focus on providing a safe environment with quality education for all students despite their differences. Being of Maori descent and a multi-cultural family, I feel I provide the board with a better understanding of the obstacles some our children face when engaging with the school and education. As part of my participation on the board, I helped to facilitate the whanau (family) consultation initiated to help children and their whanau connect to the school. 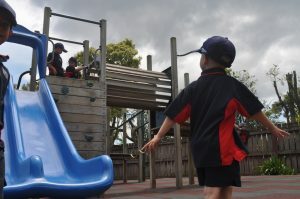 One of these initiatives is making the first school day of the year a whanau day, an opportunity for parents to spend the first half of the day with their children. As a member of the board, I would give every effort to have the board, teachers, students and principal empowered to provide the best learning environment for our children. I value the diversity of the Pakuranga community and am dedicated, reliable, loyal and trustworthy.